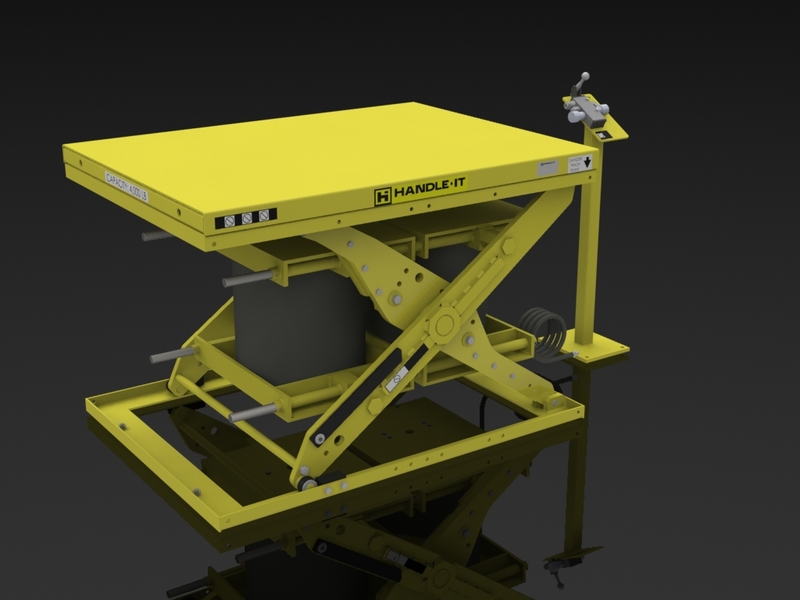 The challenge was to design a scissors lift table that could be readily converted from hydraulic to pneumatic power or changed between three different lifting capacities. The solution was a modular design with bolted joints. Five basic frame sizes were utilized to build the seven standard configurations. 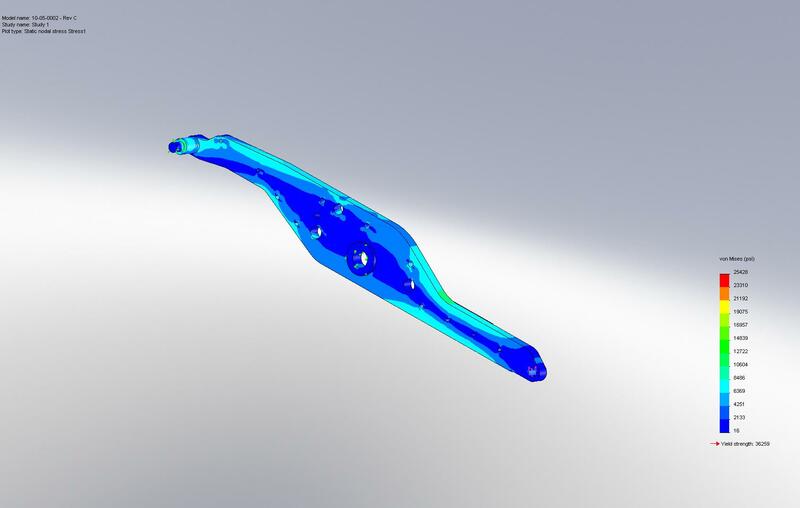 These standard frames were then mated to one of fifteen standard table tops or optional modules such as a tilt table. 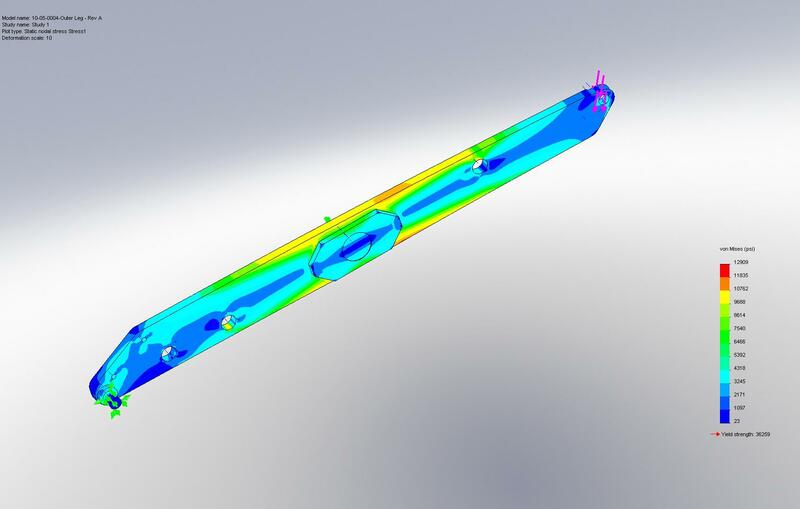 In addition to the mechanical design, we also conducted Finite Element Analysis of many components and certified the load testing of the completed units. 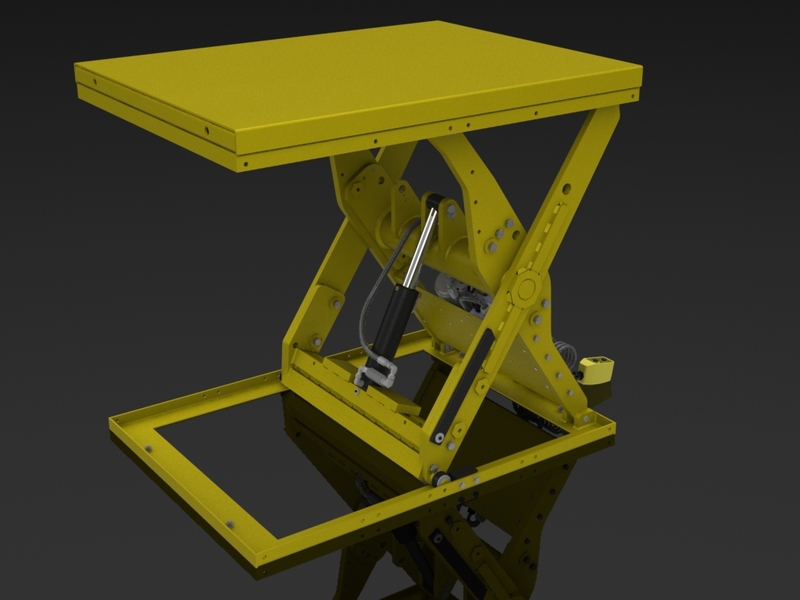 This image is a SolidWorks rendering of the pneumatic version of the lift table. 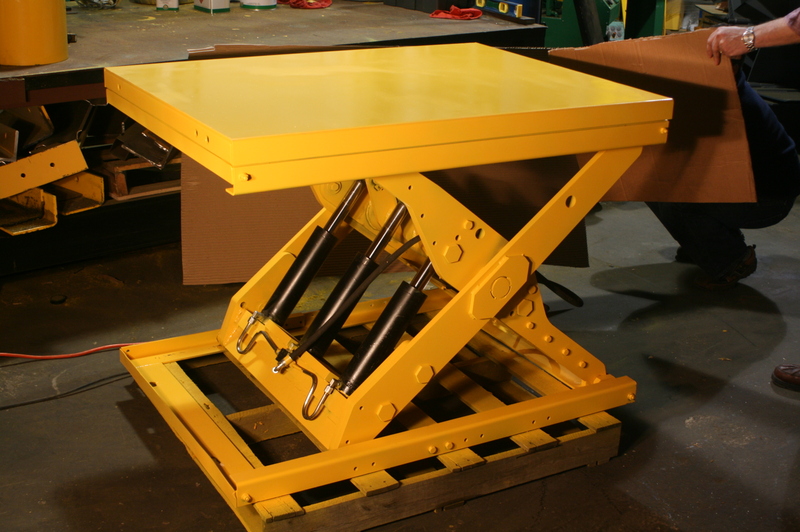 Photo of the actual lift table. 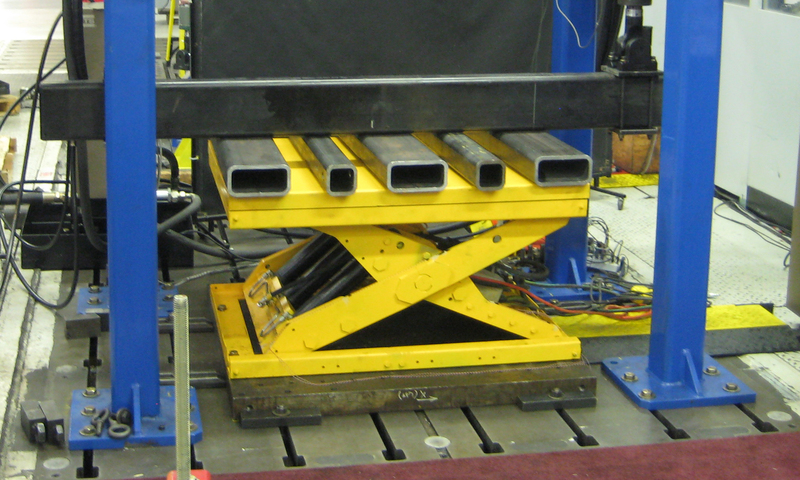 Used by permission of MII Equipment, Inc.
Photo of the physical load testing of the prototype lift table. Used by permission of MII Equipment, Inc.